The aim of this article is to explain significance of tertiary sales visibility in FMCG business. Tertiary with regard to anything means the 3rd level or tier. There are primary, secondary, and then tertiary. So for sales this would mean the third a higher level sales data- most often this is talking about the sale of goods, stocks, etc, to the end-user or consumer by way of distributor. Primary sales are from manufacturer or other original owner to agents/wholesalers. And then secondary sales usually are from wholesalers or maybe brokers to distributors or retailers. Tertiary sales will be the next level, sale from there to the consumer. 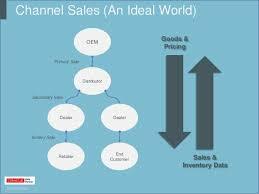 Tertiary sales is often a product’s on your shelf movement. For example If in the stores 100 units of any product are displayed on the given day in addition to by day end 20 of the people are left for the shelf, tertiary sales will be 80 units.